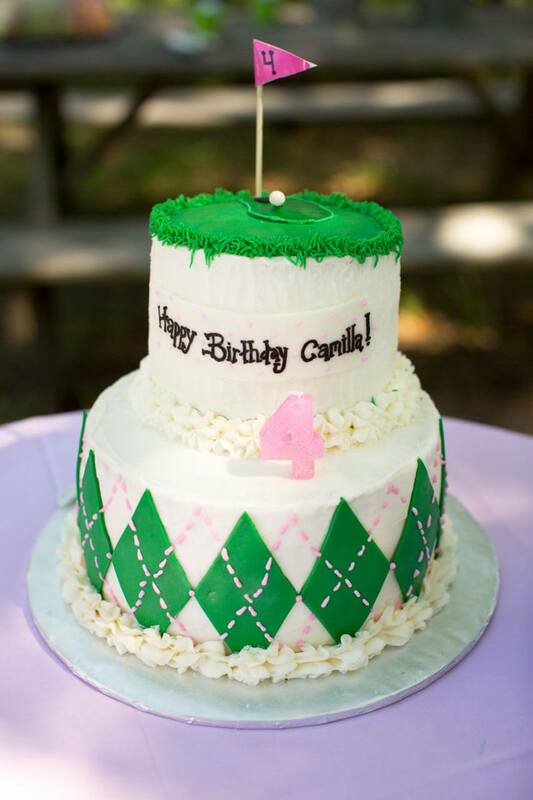 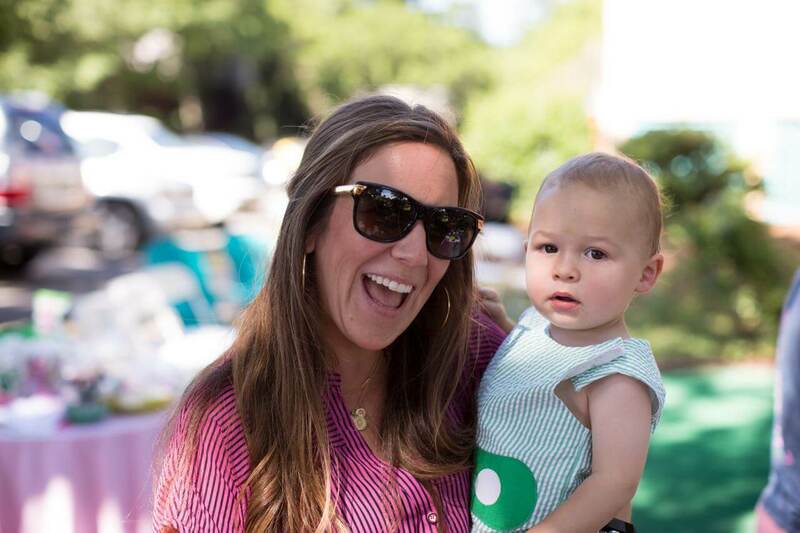 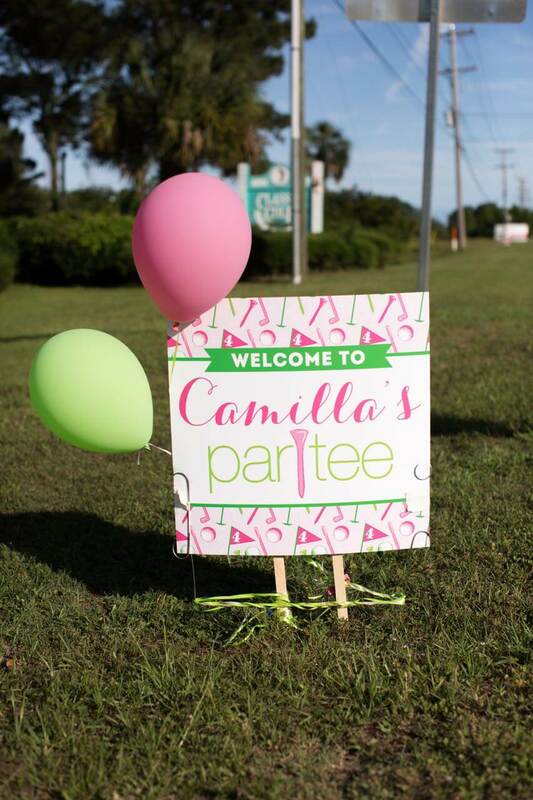 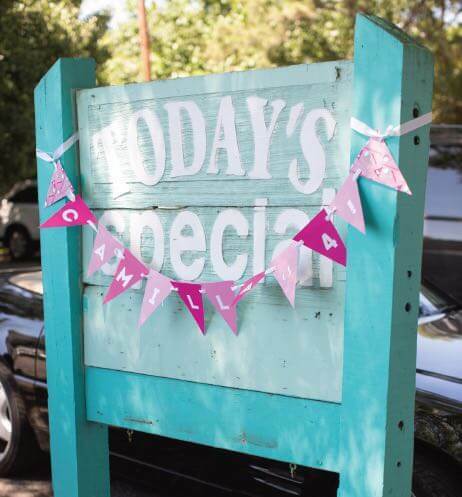 Camilla’s girly golf birthday (her FORE-th) was one of our absolute favorites! 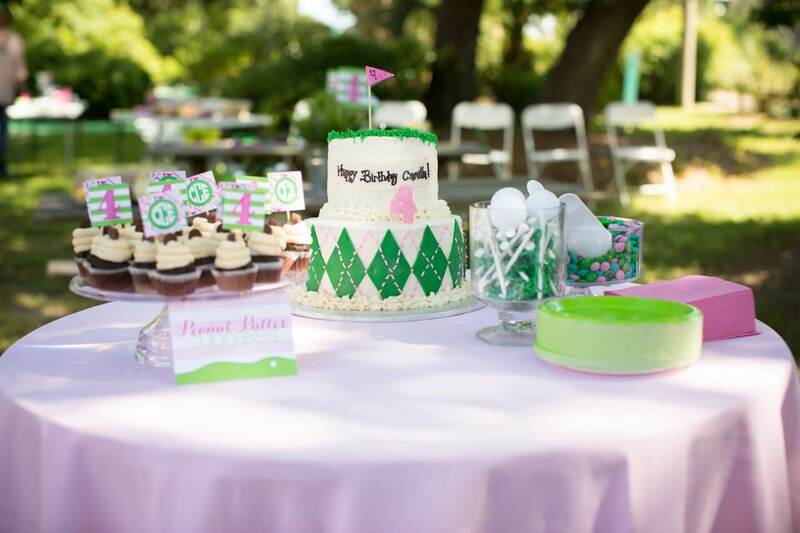 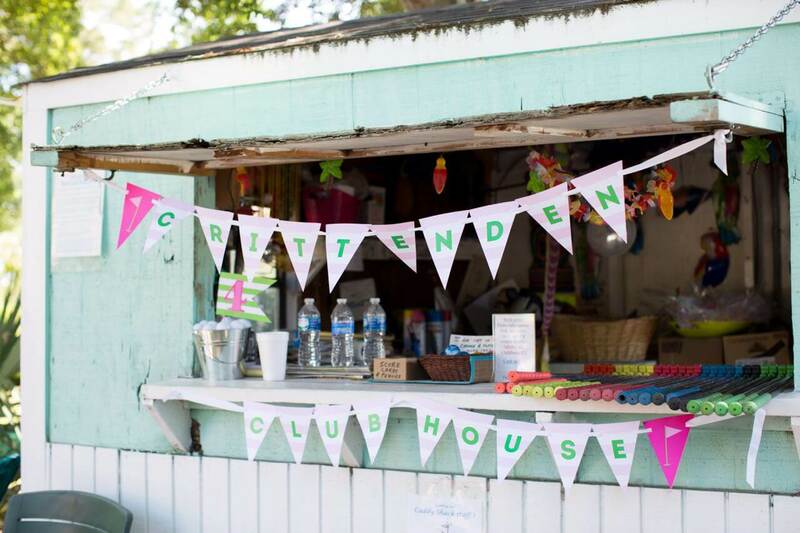 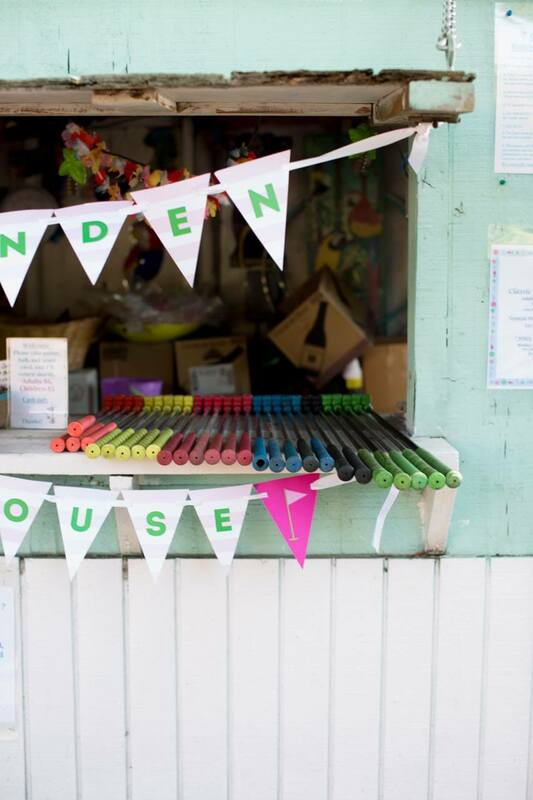 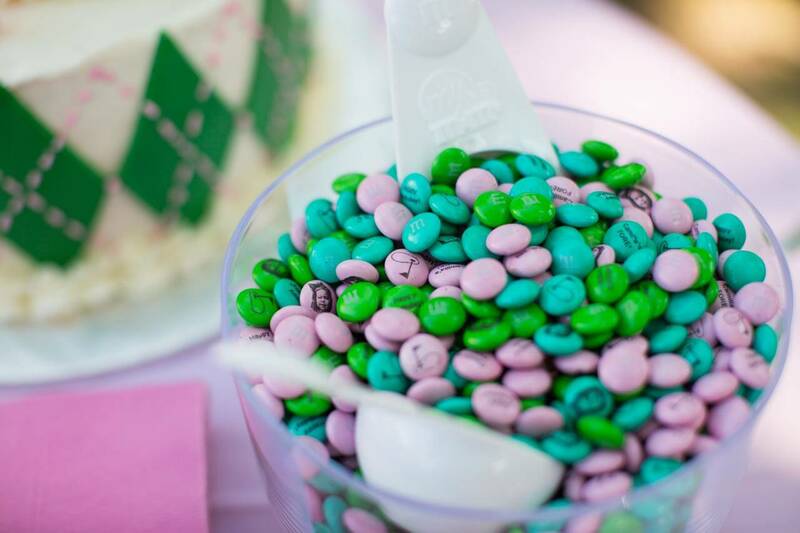 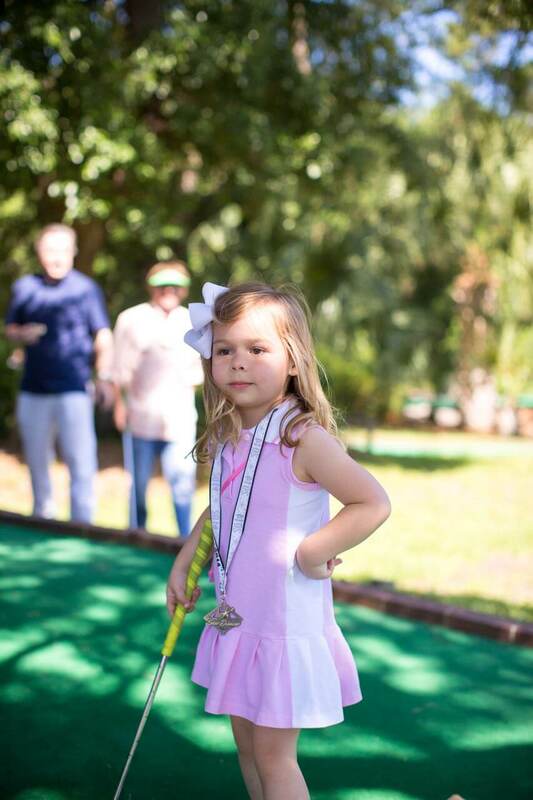 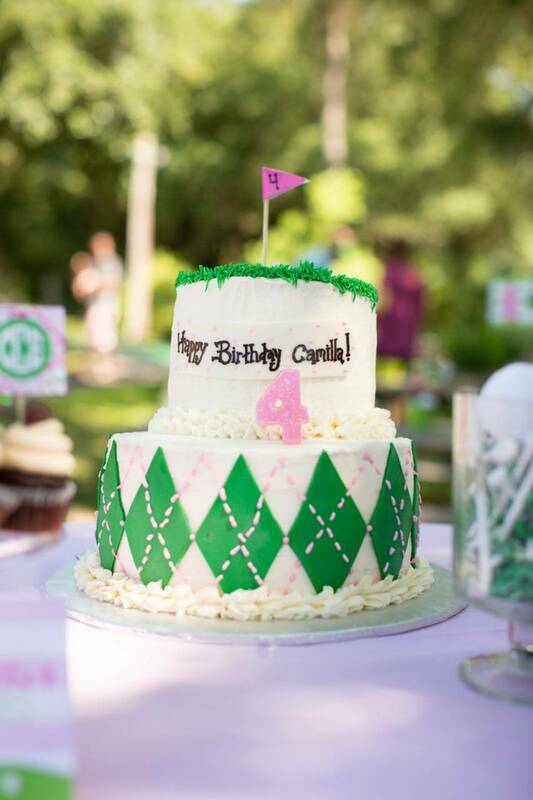 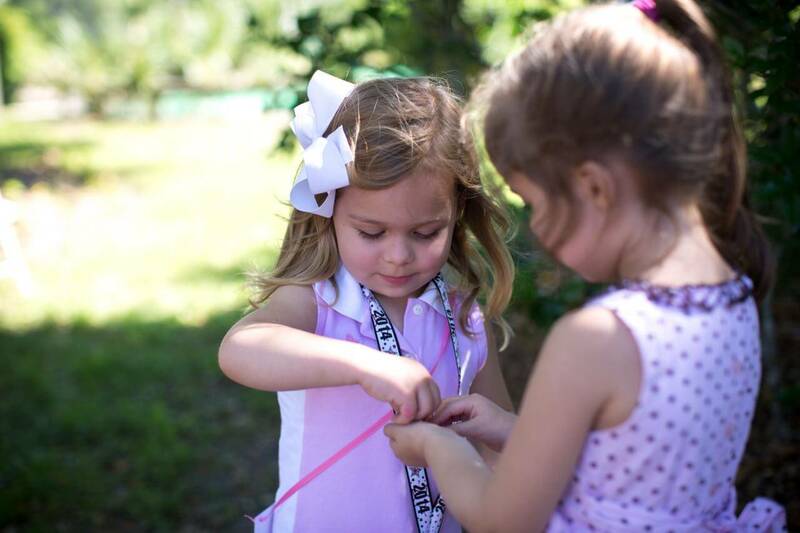 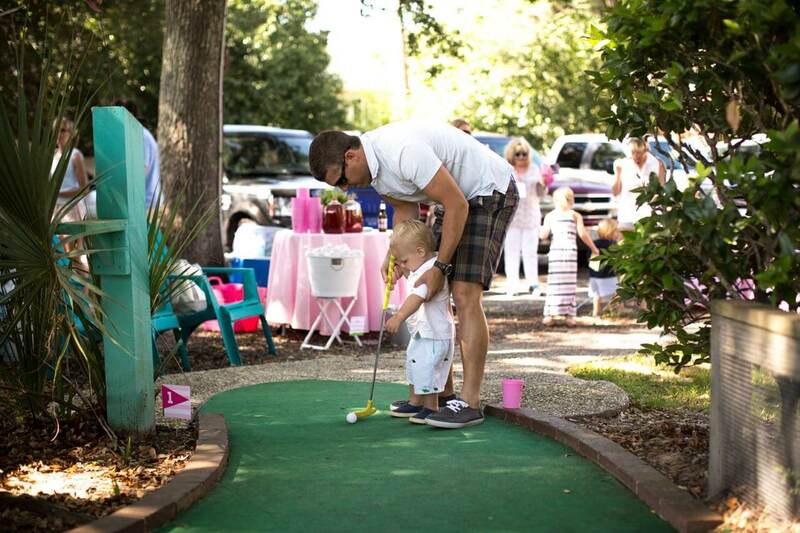 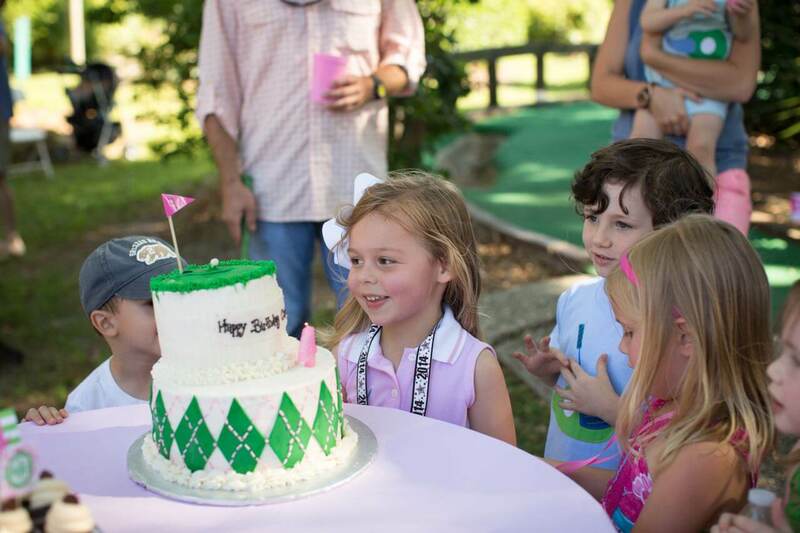 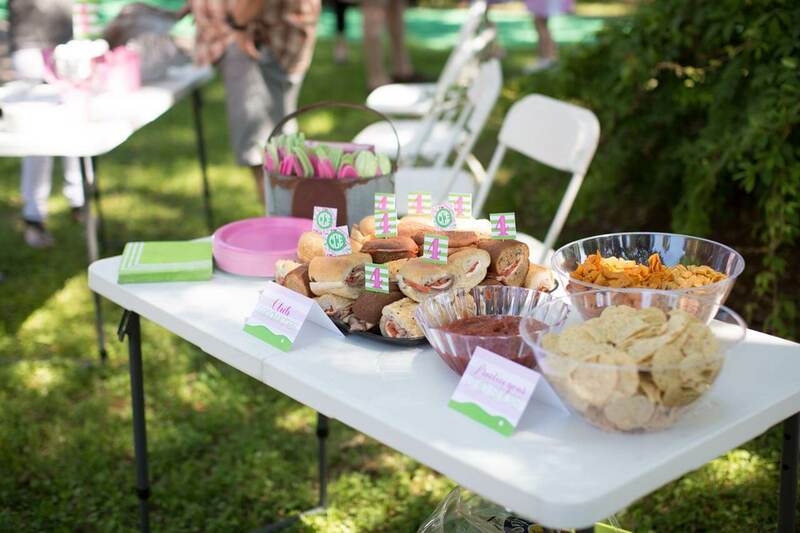 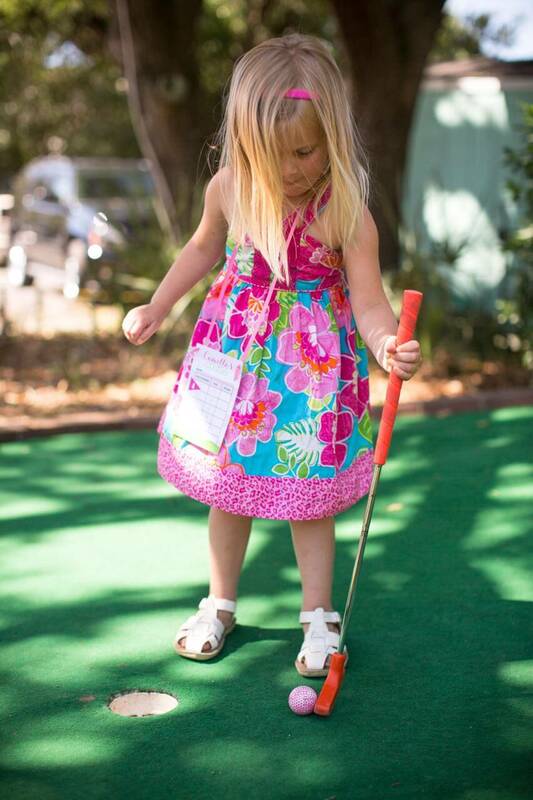 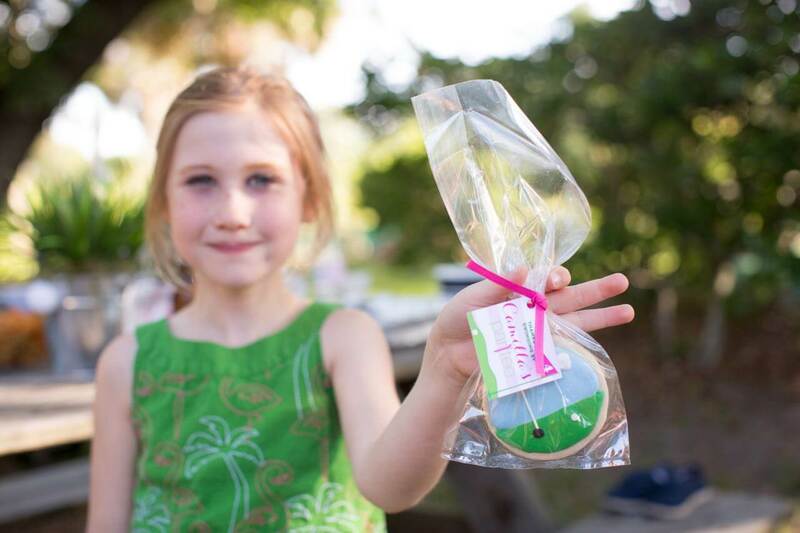 Golf is not only for boys and we loved how this little girl’s golf themed birthday was full of pink and green! 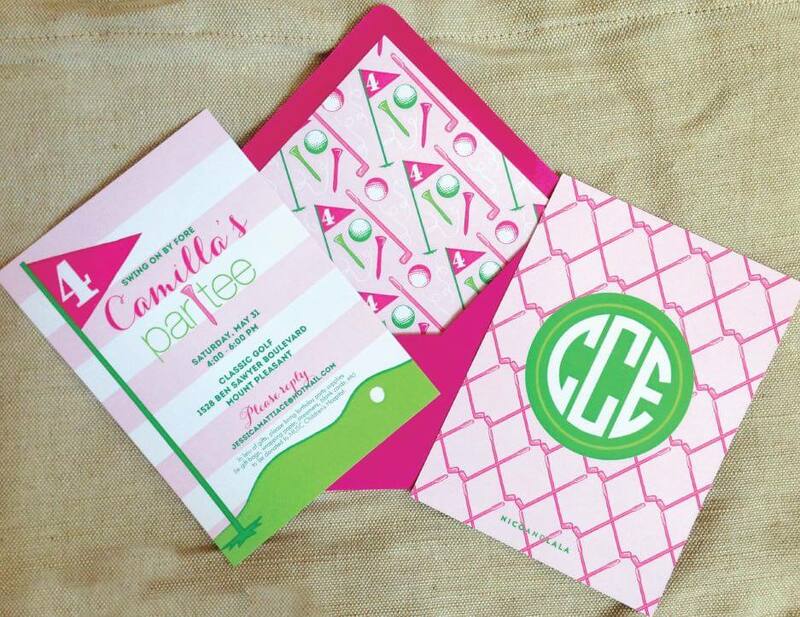 The preppiest color combo lent itself perfectly for the girly golf birthday invitations and swag. 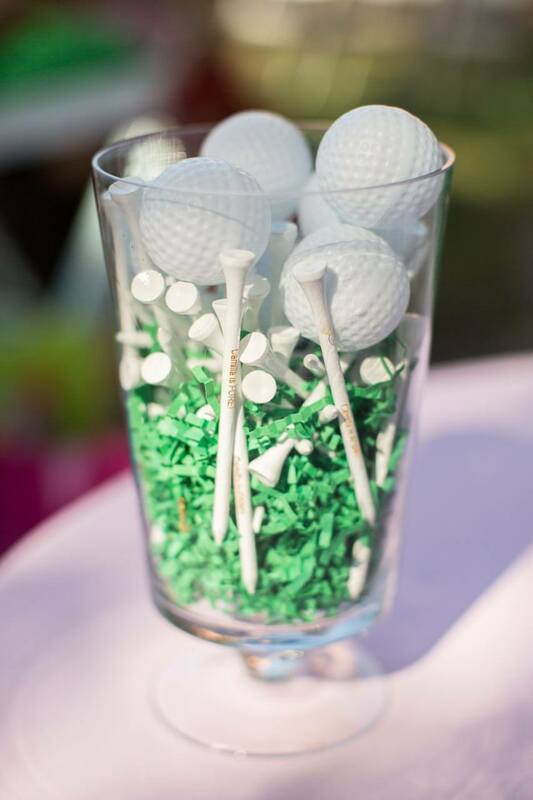 For the invitation we made a custom pattern of golf tees and golf clubs. 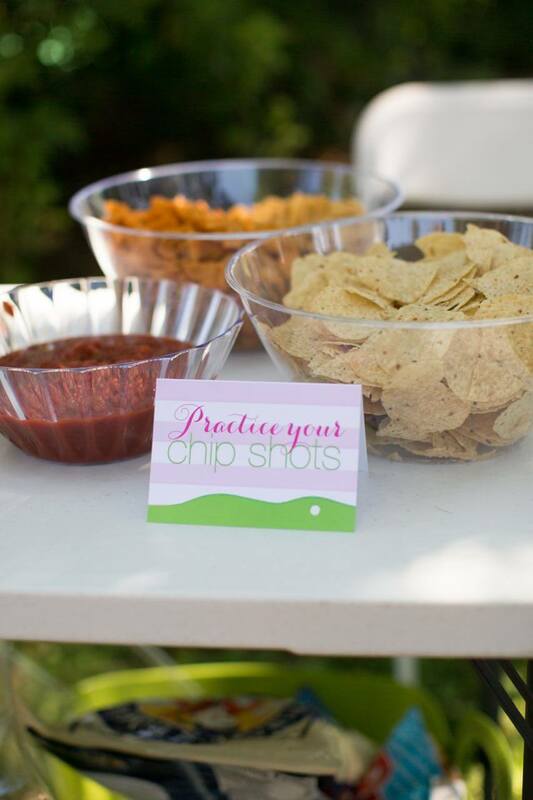 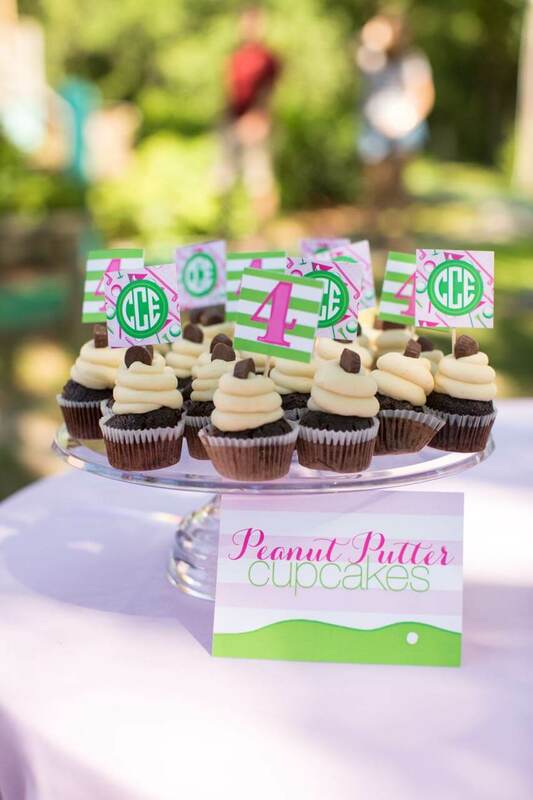 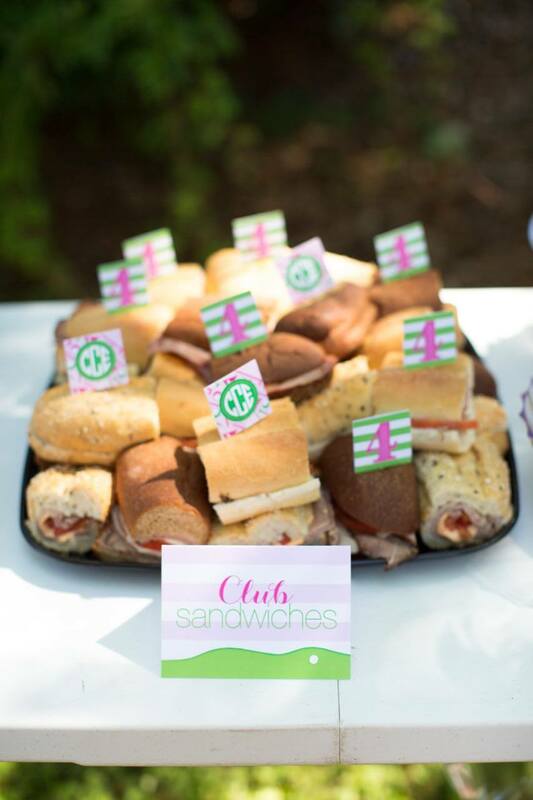 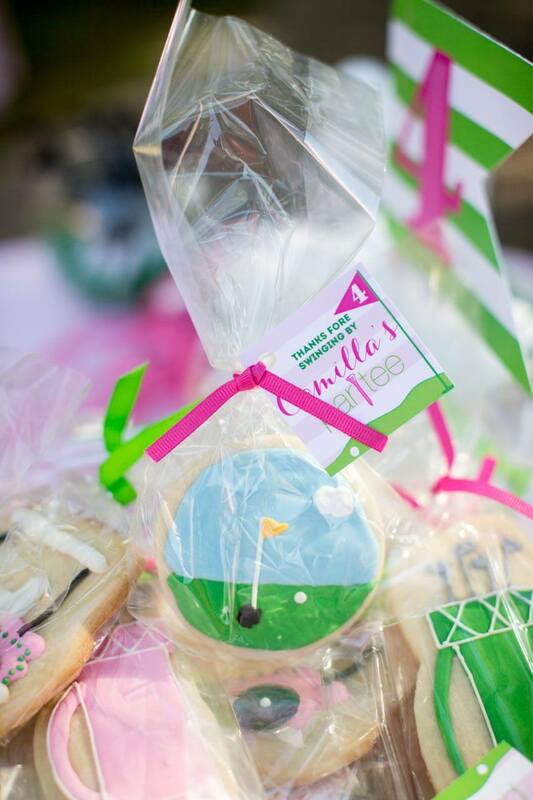 To top off this par-tee and extravaganza we designed custom food cards, cupcake tags, a banner for the “pro shop”, and even custom designed cookies with favor tags for the guests to take home as a treat! 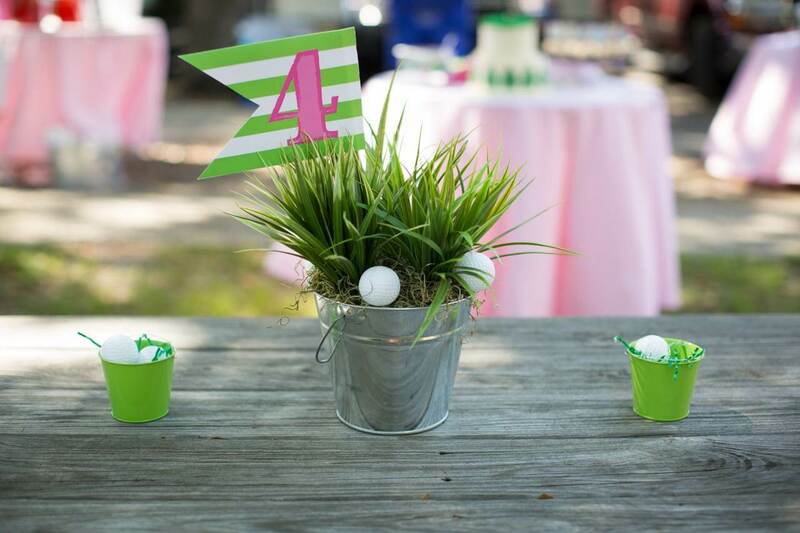 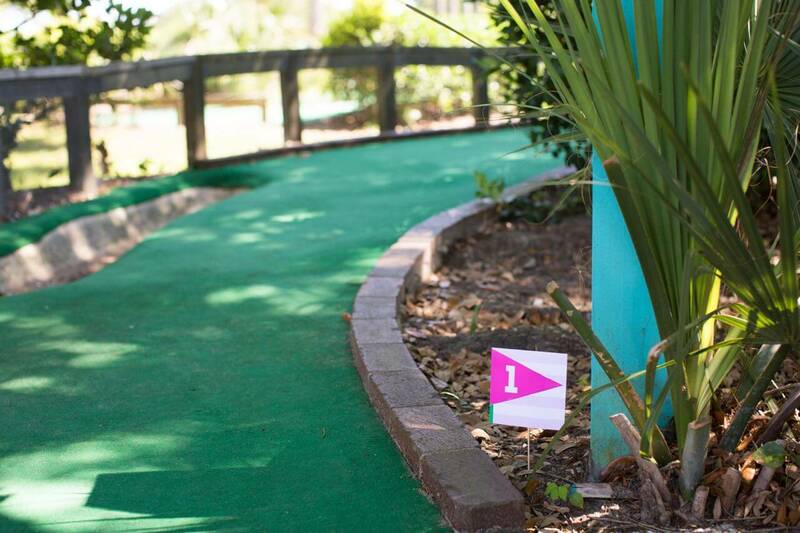 Such a fun theme for a boy or girl and great idea to use a putt putt course to keep the kids entertained, of course with custom hole flags!